Having to catch up on a lot of days means squeezing in everything that could help. And a handbag book that is 75% done certainly helps a lot! I have books that I'm currently reading, usually a fiction and a nonfiction book - right now the nonfiction is "The Swerve" (see list), and the fiction is nonexistent. I have two or three books on my bedside, where I tend to reread certain chapters when I am down or can't sleep (that is my #1, "Lycidas", and right now also Victoria Coren's and David Mitchell's memoirs). And then I have a handbag book, which isthe only other book apart from my main read that I am ACTUALLY reading. If I have a handbag book that I can't get out of my head, it will get promoted to a main read. The bad news now is that I need a new one. 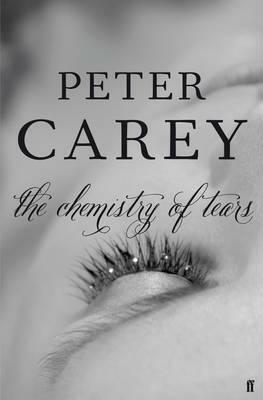 "The Chemistry of Tears" kept me company for more than six months. I think Chris Colfer is next.